Heritage Hideaways Ltd01502 724782work Holiday Letting AgencyThe beautiful county of Suffolk is a wonderful holiday destination at any time of the year. With unspoilt coastal towns and villages steeped in history, stunning beaches and undulating countryside, Suffolk is a very special place with something for everyone. Heritage Hideaways has a stunning collection of holiday homes carefully selected for their location, style and comfort. Choose from spacious contemporary homes, quaint coastal cottages or stylish seaside apartments in superb coastal or countryside locations, including Southwold, Walberswick and Dunwich. 3-5 STAR SOME WITH GOLD AWARD. The beautiful county of Suffolk is a wonderful holiday destination at any time of the year. With unspoilt coastal towns and villages steeped in history, stunning beaches and undulating countryside, Suffolk is a very special place with something for everyone. 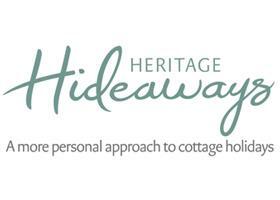 Heritage Hideaways has a stunning collection of holiday homes carefully selected for their location, style and comfort. Choose from spacious contemporary homes, quaint coastal cottages or stylish seaside apartments in superb coastal or countryside locations, including Southwold, Walberswick and Dunwich. At Heritage Hideaways we like to think we're a bit different from other holiday cottage companies and we pride ourselves on our personal approach. We know every property inside out so can recommend the ideal one for you. And we'll be on hand from the moment you book and throughout your stay to ensure you have a wonderful holiday.